In 2014, Austin trio The Well offered up Samsara (review here), their first full-length, on RidingEasy Records. The album wasn’t a revelation in style from what they’d accomplished on their 2012 single, Seven (review here), or the subsequent First Trip EP, but it was a definitive step forward and, to my ears, represented a key piece in the arrival of a new league of US bands ready to take up the mantle of heavy rock. With the follow-up, Pagan Science (also on RidingEasy), guitarist/vocalist Ian Graham, bassist/vocalist Lisa Alley and drummer Jason Sullivan confirm that supposition. They’ve put in no shortage of road time in the interim, and that would seem to have affected the songwriting in making their material tighter, with shorter, crisply executed songs that manage to fit four more tracks in and still only be five minutes longer than the preceding outing at a vinyl-able 44 minutes. Not only that, but the arrangements of Alley and Graham‘s vocals, as heard on songs like “I Don’t Believe” and the closing Crosby, Stills and Nash cover “Guinnevere,” as well as the flow between tracks particularly earlier in the proceedings, how “Skybound” picks up from the curiously but rightly placed second-track interlude “Forecast” and leads directly into “A Pilgrimage”‘s tales of gypsy woes all speak to the growth the three-piece have actively undertaken over the last two years, and it makes Pagan Science an expansion of reach even as it seems to have tightened the reins on some of the loose, jammy feel of the first LP. As in the best of cases, songs feel written to stand out and run together in kind. The band returned to work with producer/engineer Chico Jones at Micro Mega Studio (Mark Deutrom also worked on the last one) earlier this year, so there’s some consistency in overall sound. 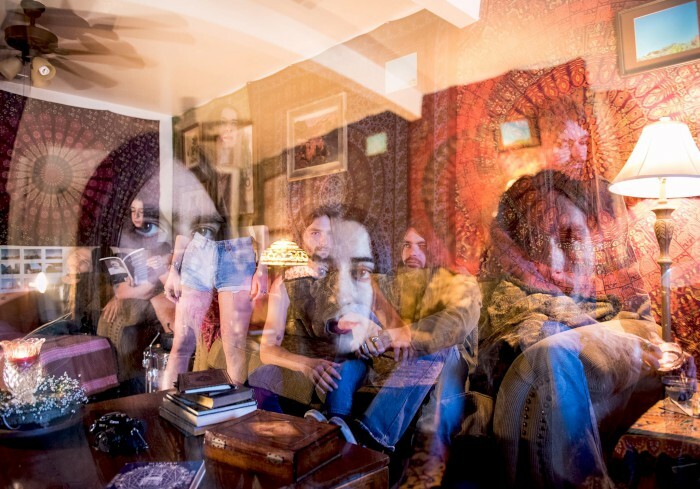 From the harmonies that signal the beginning of opener “Black Eyed Gods,” The Well still skulk around a murk somewhere between garage doom, heavy psych, classic stoner and yet-undefined Sabbath-born impulses. Riffs lead the way through the shuffle of “Black Eyed Gods,” and the effect of pairing that with the 41-second low-end noise wash of “Forecast” isn’t to be understated in giving Pagan Science an open sensibility immediately. The drive of the speedier “Skybound” is introduced and from there, The Well dig deeper into the heart of what their second record is all about — Graham and Alley coming together vocally over Sullivan‘s steady roll busting out memorable tracks that remain spacious in their intent and echo while working around a deceptive structure that even in a longer cut like “Skybound,” which is one of four songs to top five minutes, though none hit 5:30, holds the material together even as they directly tie songs into another to create the whole-album spirit. “A Pilgrimage” has a landmark chorus and laid back solo that should translate well to the stage if it hasn’t yet, with Alley and Graham trading parts back and forth to conversational effect and though “Drug from the Banks” seems to shift the narrative, its build and chug balance an airy feel in the verse and far-back hook that keep the momentum going, underscoring the efficiency that’s taken root beneath the spiky leaves of The Well‘s sound. Further in that argument, the chants that mark the arrival of centerpiece “Byzantine” make that song feel all the more appropriate for its position and its gradual unfolding, but it’s still under four minutes long, despite leaving a much grander impression. I’m not sure where the vinyl split is, if it’s before “Byzantine” or after, but that track is a definite landmark for Pagan Science either way, and “One Nation” picks up with Graham‘s vocals introducing the hook before the rest of the band crashes in with a two-and-a-half-minute nod of some lyrical social comment cloaked in suitably ethereal language. Could that be The Well showcasing a punk side? Possible, but it fits nonetheless, and “One Nation” ends with a cymbal wash that leads into the ultra-languid bass-highlight start of “Choir of the Stars,” the back half of the album’s own instrumental (save for some samples that may be shouting, may be dogs barking; it’s all pretty obscure) that works to a mirror the effect of “Forecast” in broadening the context of its surroundings. Again, it’s just three minutes, but the effect is longer lasting. With a sort of Eastern minor-key flair that draws on Om without directly emulating them, “Brambles” introduces the closing trio with a purposefully repetitive course no less memorable than that of “A Pilgrimage” earlier, and “I Don’t Believe” provides immediate complement in that regard, with its long-since-dropped-out-of-life righteous vibe and sing-along section in the second half leading to a faster charge to close out. Might be fair to think of “Guinnevere,” since it’s a cover and since “I Don’t Believe” caps with such a push, as a bonus track, but it works exceedingly well with the rest of the material here and offers one last vocal highlight from Alley and Graham while taking the central progression of the original and turning it into a more malevolent, thickened riff backed up by atmospheric noise. 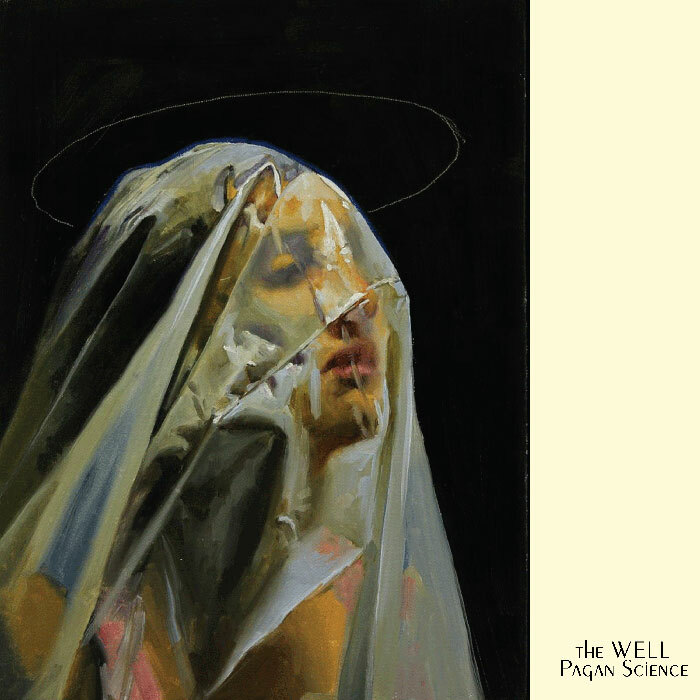 It ends Pagan Science on a somewhat understated note, but if anything, The Well‘s second offering makes the clear point that the band is ready to keep rolling onward on their forward course, progressing and expanding and refining what they do as they go, but going most of all. As a part of that up and coming surge in American heavy rock, they only prove themselves more crucial here. This entry was posted	on Wednesday, September 14th, 2016 at 7:05 am	and is filed under audiObelisk, Reviews. You can follow any responses to this entry through the RSS 2.0 feed. You can leave a response, or trackback from your own site.